The Rockport World Tour Brown for men is the latest member of the legendary World Tour collection. Built using Rockport’s Walking Platform Construction this shoe will fit the style of any adventurous gentleman whether you are a globetrotter or just getting from place to place around town. 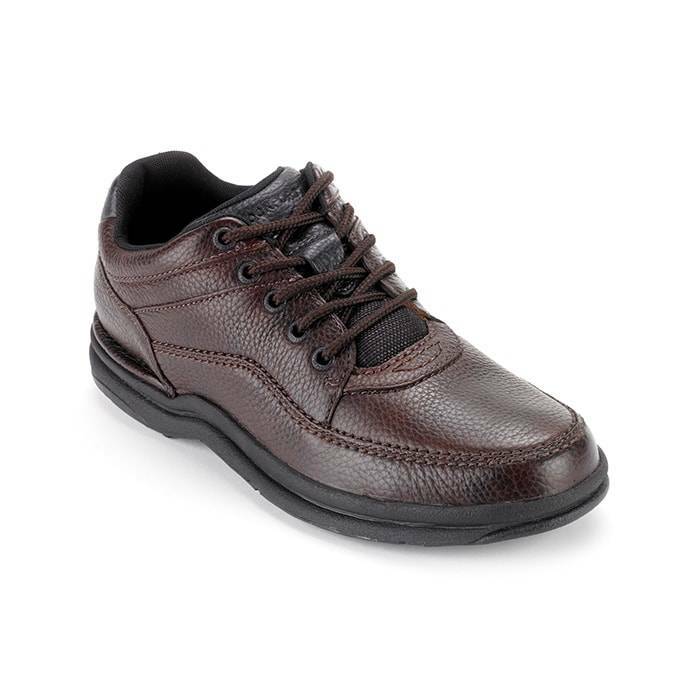 Rockport’s proprietary Walking Platform Construction helps provide a wide base of support for heel and forefoot flexibility and a padded tongue and collar helps protect from excessive rubbing and helps prevent blisters. Its full-grain leather conforms to the foot over time for a custom, comfortable fit and is easy to maintain. Go the extra mile men’s World Tour. delivers what it takes to go the extra mile.